This summer Back Garden Drama has a very exciting, energetic and physical workshop running. 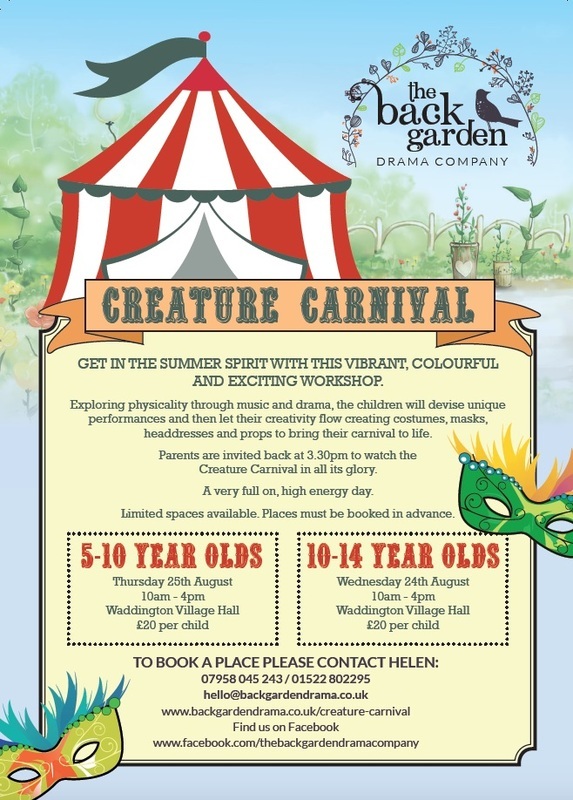 Creature Carnival will see the children really explore their physicality using music and visual stimulation. The day is all about using our bodies to create movement pieces and our imagination to bring the performances to life with costumes, masks, headdresses, music and scenery which we will create on the day. It is a great opportunity for the children to effectively lead the direction the performance takes. A fantastic workshop for any child with a taste for drama, dance or singing and a flair for being creative. Please provide a packed lunch. Please are limited and must be booked in advance.